Book 2, The Chronicles of Iona: Prophet, is here! 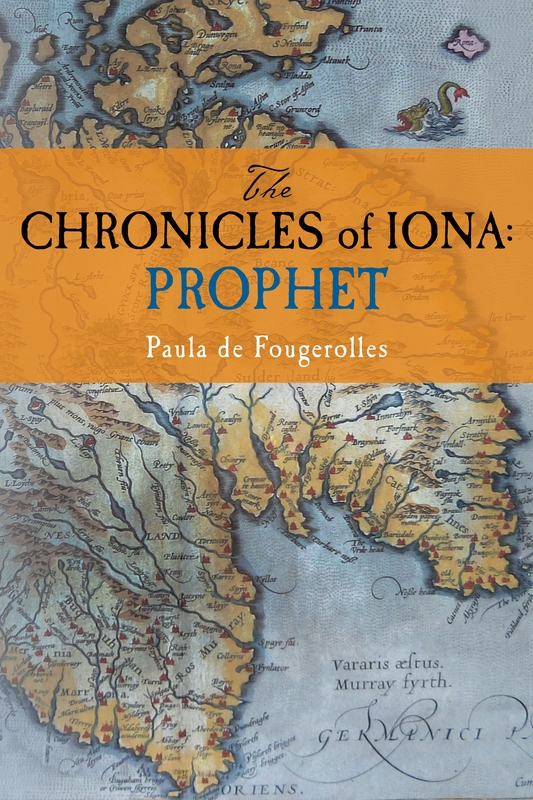 The second book in my historical-fiction series The Chronicles of Iona, called Prophet, is now out! The story picks up where the first book, Exile, left off, beginning in the year 567 A.D. Four years after journeying with Scottish warrior Aedan mac Gabran into the land of the wild Picts, Irish abbot-prince Columba is forced back there to seek Aedan’s aid for an epic battle. Aedan must leave his Pictish wife and child and return to his first love, now married to the brother whose princely power he has vowed to help save. Yet once home, the friends’ struggle to quell the chaos of the western shores only unearths even more secrets and prophecies that test old loyalties and faiths of all kinds. While Saxon invaders spread from the east and the Britons’ many kingdoms battle for sovereignty, the Scots’ ancestors from Ireland also enter the fray, and Aedan and Columba must fight enemies both political and personal in a desperate attempt to protect everything they have come to love. Thank you for your patience while I finished preparations for the book. In many ways (all good! ), Prophet was the victim of Exile’s success and had to wait while I travelled around doing Exile-inspired events. It was the culmination of many happy occasions for Exile. After receiving great reviews from both Kirkus (starred review) and ForeWord Clarion (5 stars out of 5), it was launched at the Boston-Northwest Ireland 2012 Golden Bridges Conference here in Boston. That was a lovely evening. A big thanks to Donegal County Council in particular for featuring Exile in its Donegal Diaspora project (Columba/Colm Cille was born and bred in beautiful Donegal!) and its One Book One Community International Reading Project which aims to foster connections between Donegal, Derry, Scotland and New England by organizing events around the book. I’ve already kicked off the New England arm of the initiative with a wonderful evening at the Irish Cultural Centre of New England ; more exciting events will follow. You can get a print copy or eBook of Prophet here. All the international Amazon sites are also selling it (Prophet Amazon UK for my friends in the UK). If you like Prophet, please consider posting a review on its Amazon Page, or simply “like it”. (Prophet Amazon UK for the UK, etc.) This helps tremendously to get the word out. Or like and share the series’ Facebook Page. Do let me know what you think of the book! The series is ongoing so your input really does matter! Besides, who doesn’t love to “talk story”? And now I’ll be able to get back to writing Book 3 , entitled Island-Pilgrim (set almost entirely in Ireland)—but first a trip to Scotland next week to attend the sold-out Society of Antiquaries of Scotland’s International Conference on Scotland in Early Medieval Europe. While there, I’ll be conducting research for forthcoming books in the series, which will mean hiking up quite a few Dark-Age hillforts … Can’t wait!